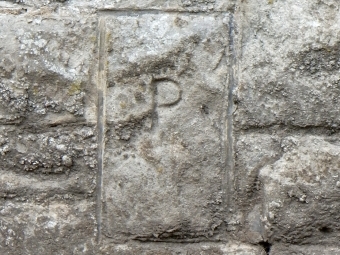 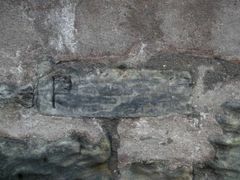 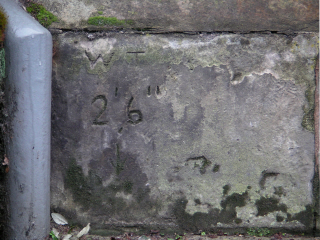 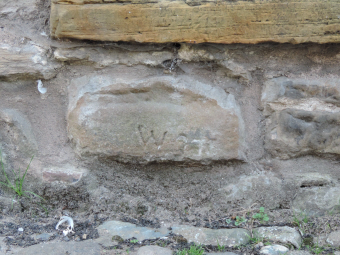 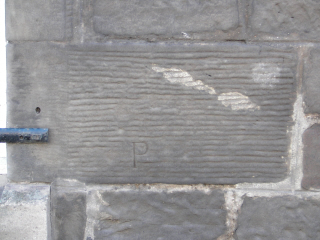 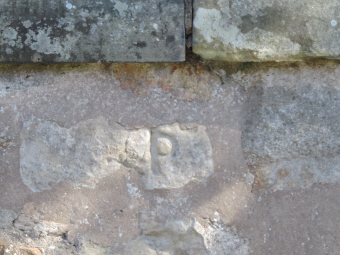 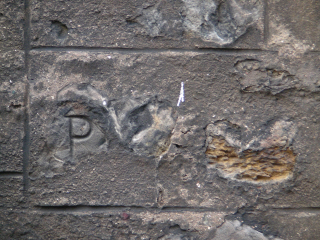 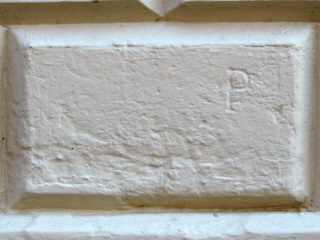 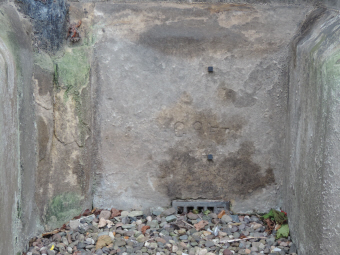 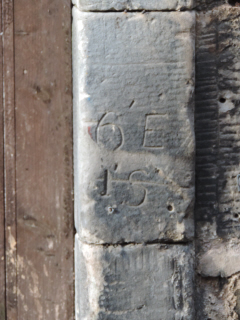 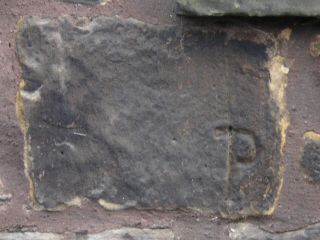 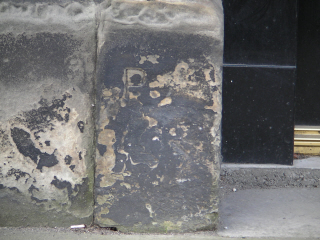 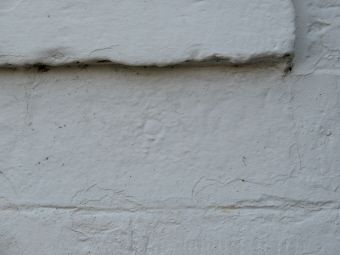 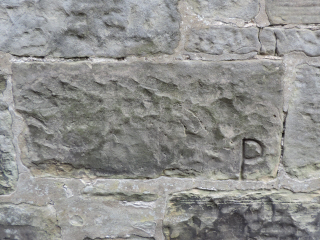 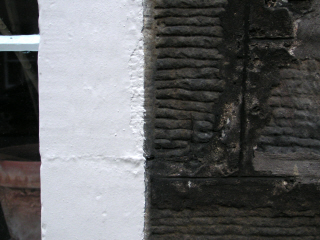 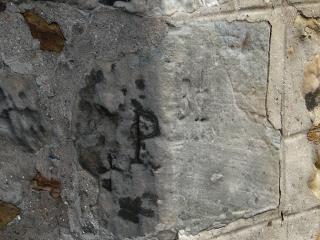 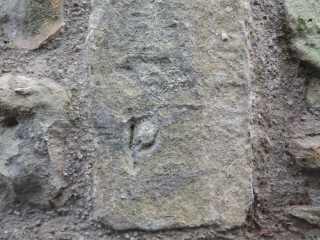 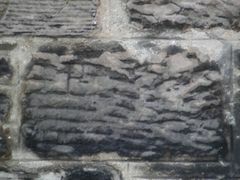 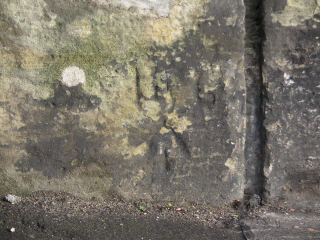 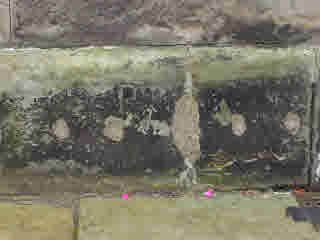 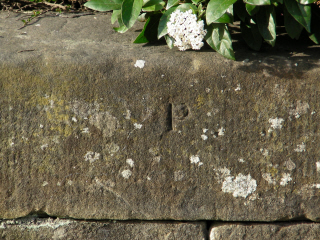 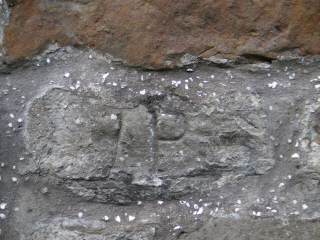 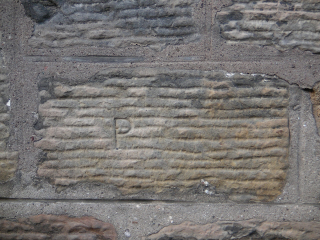 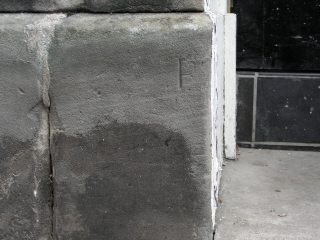 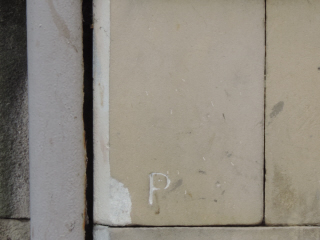 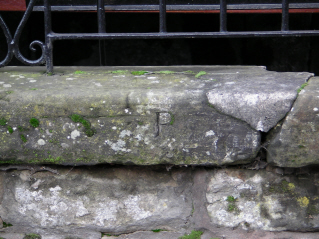 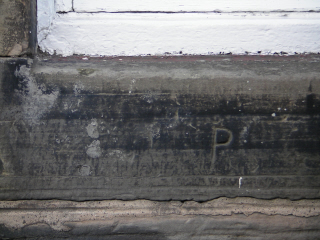 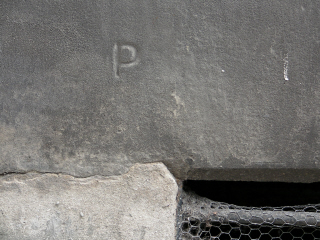 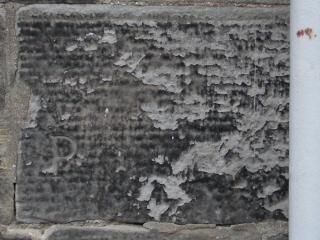 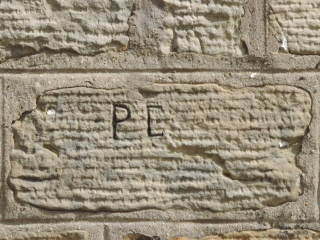 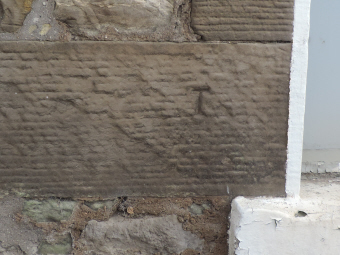 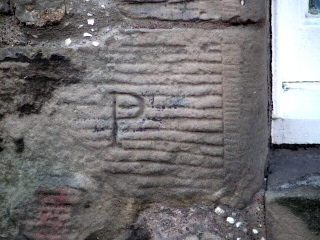 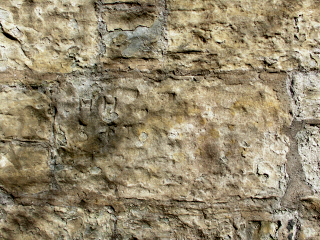 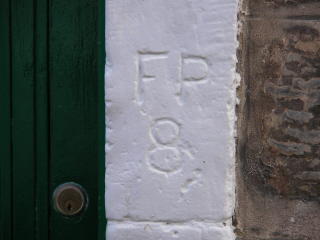 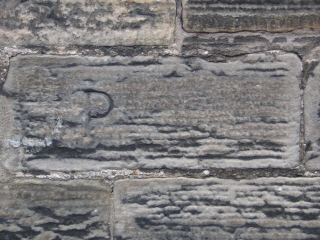 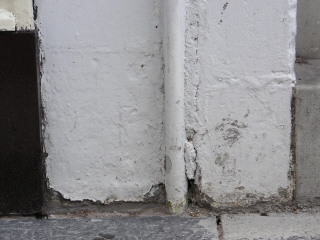 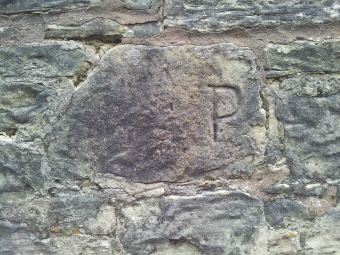 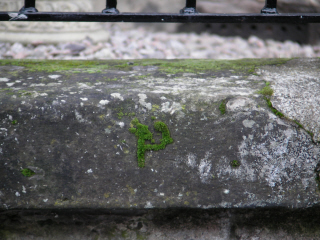 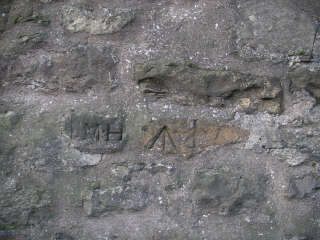 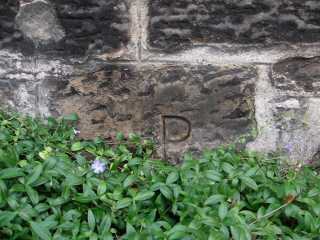 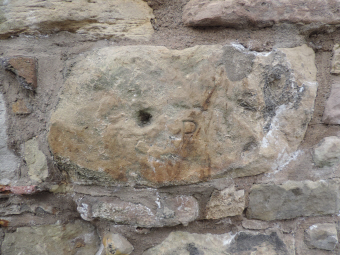 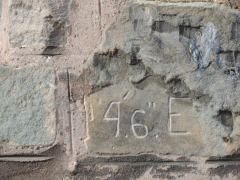 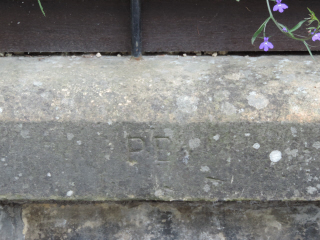 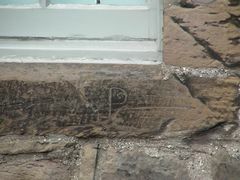 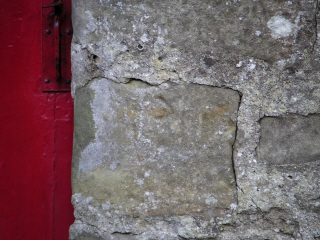 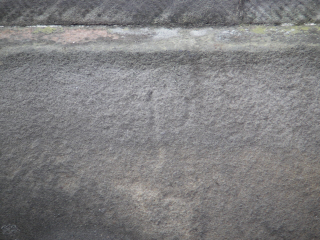 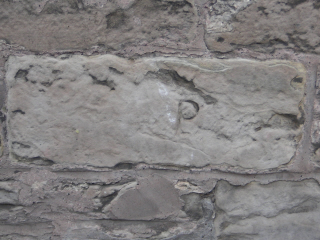 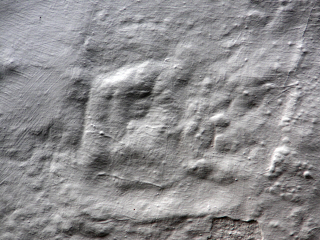 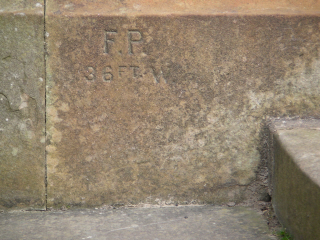 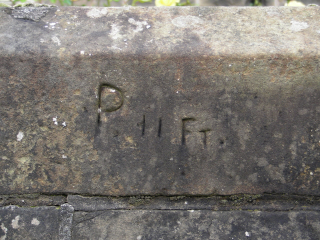 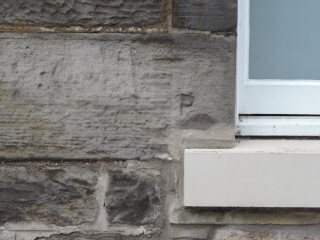 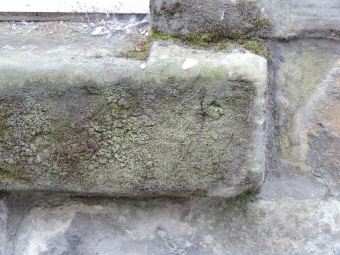 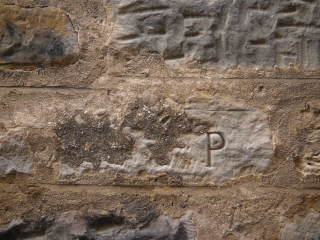 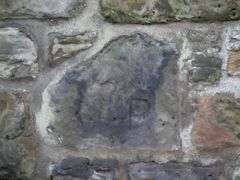 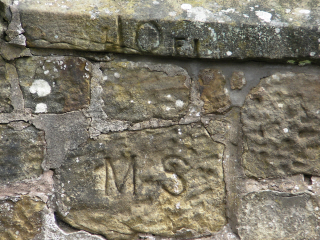 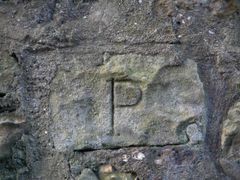 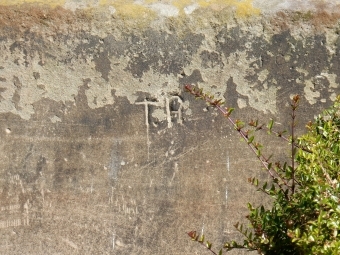 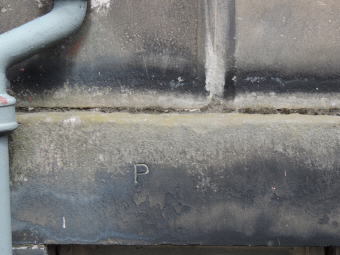 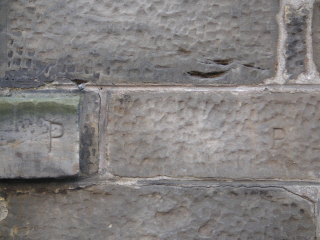 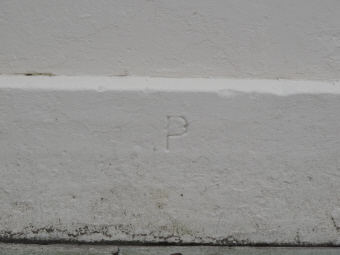 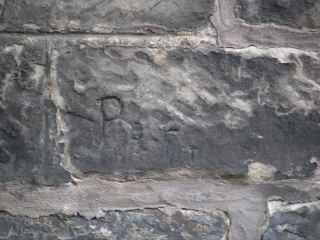 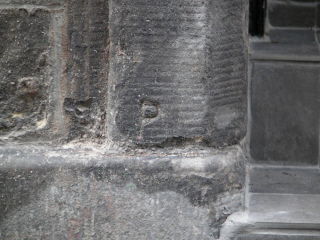 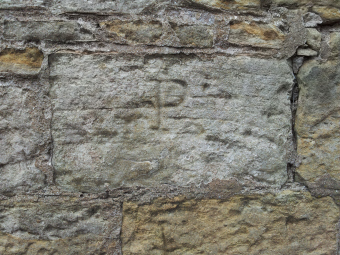 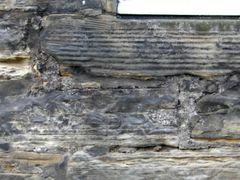 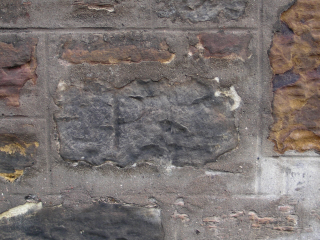 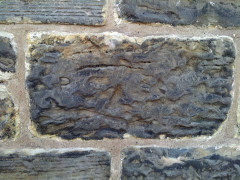 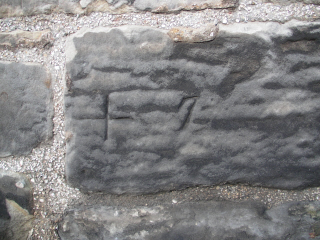 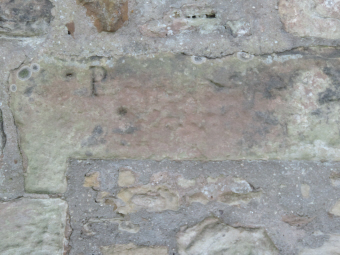 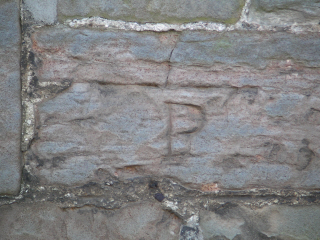 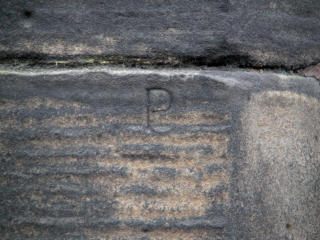 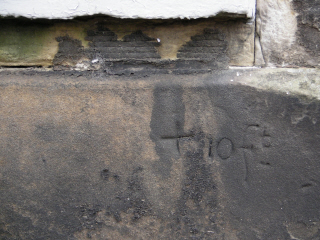 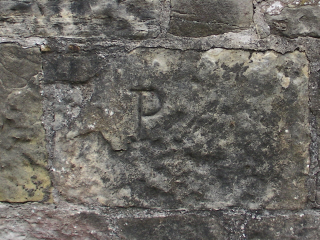 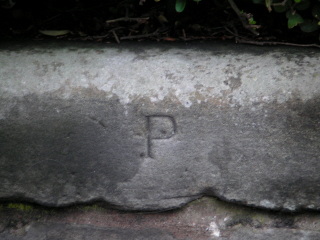 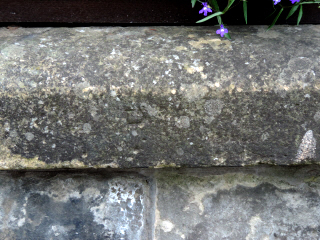 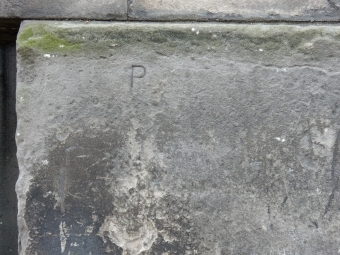 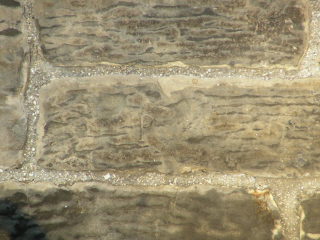 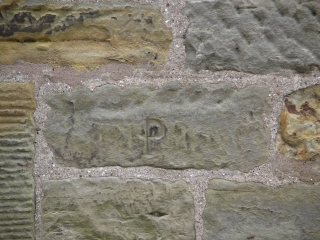 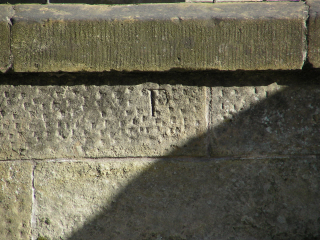 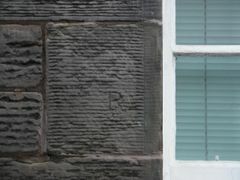 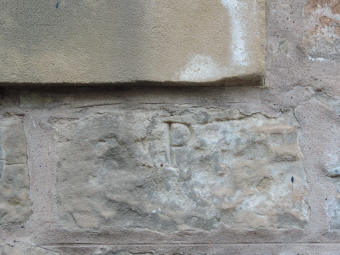 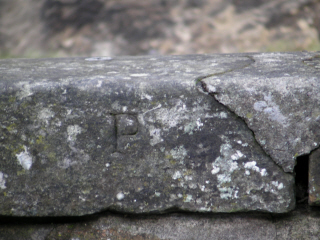 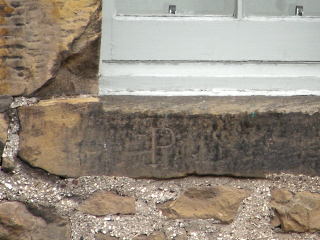 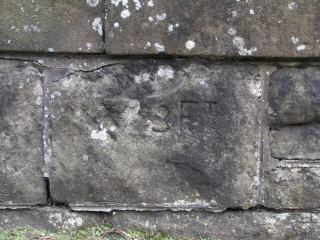 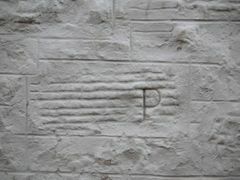 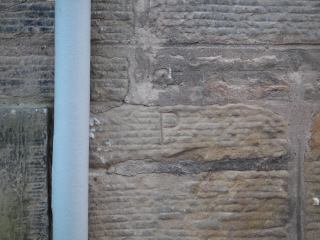 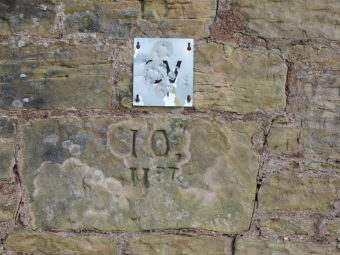 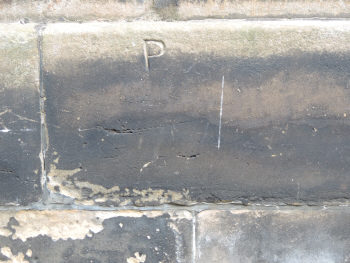 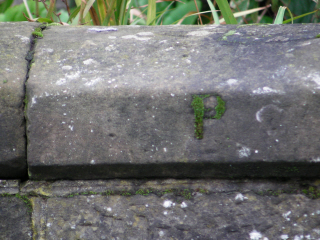 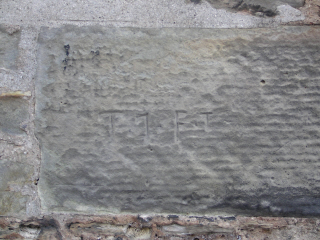 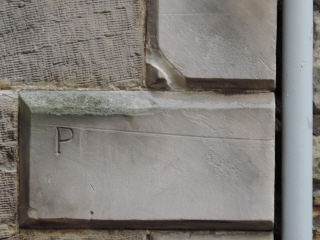 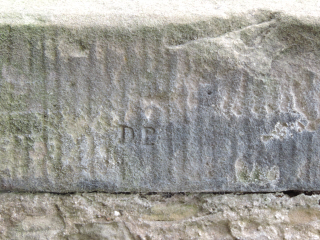 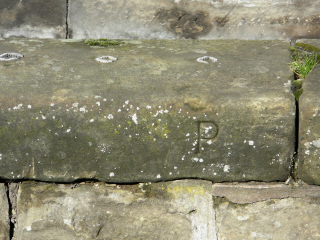 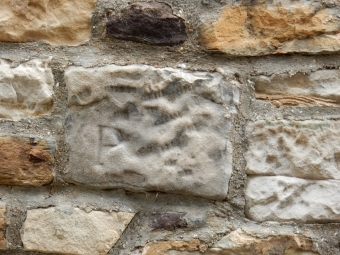 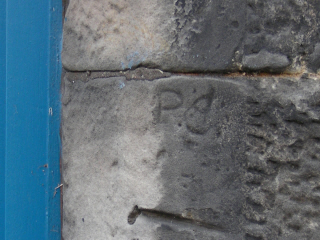 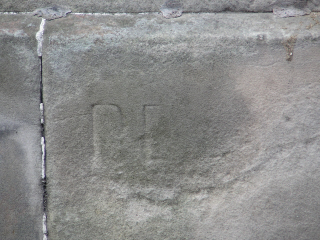 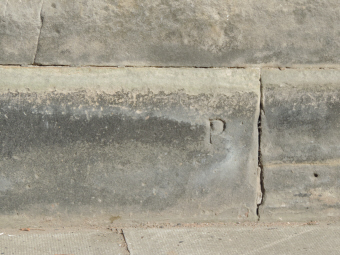 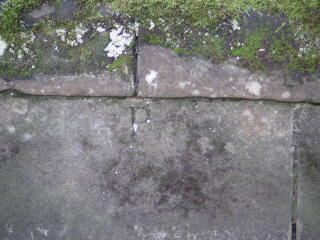 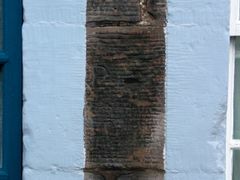 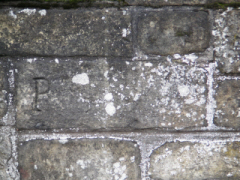 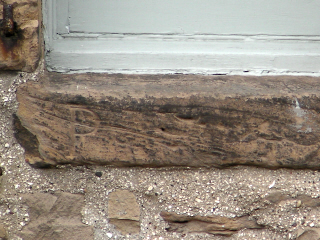 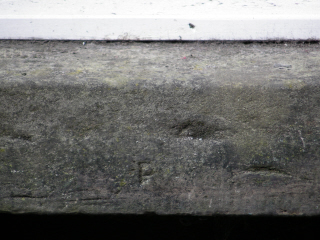 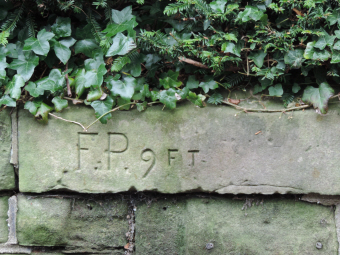 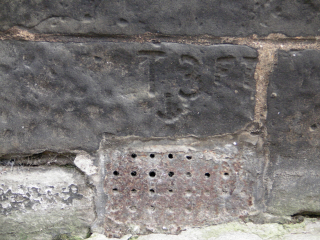 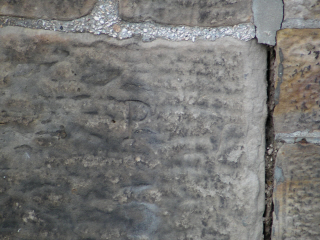 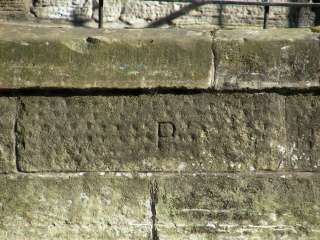 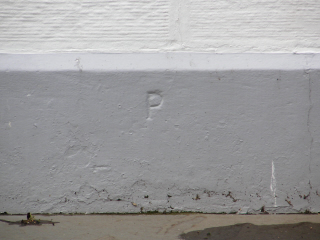 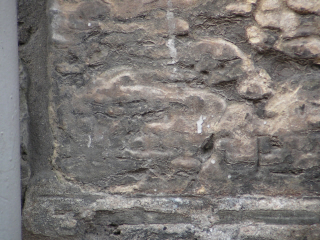 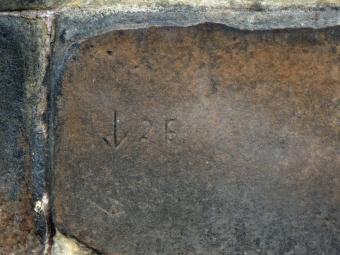 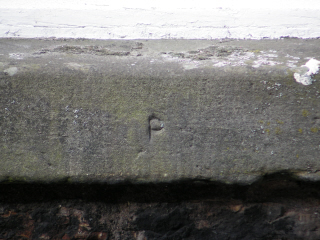 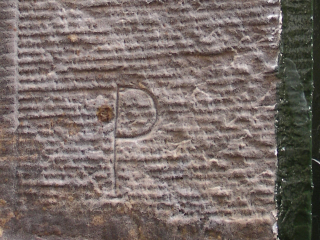 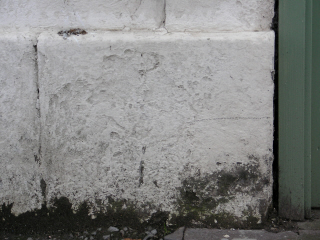 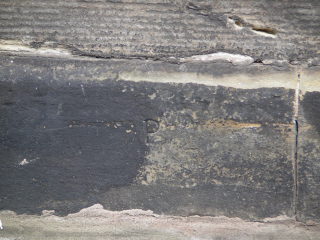 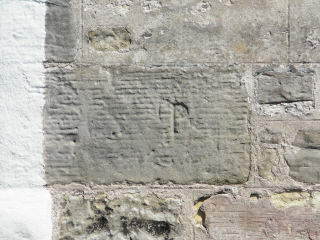 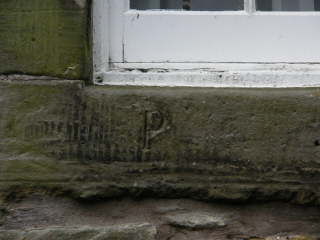 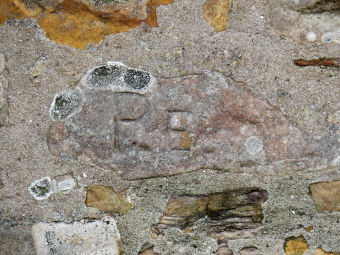 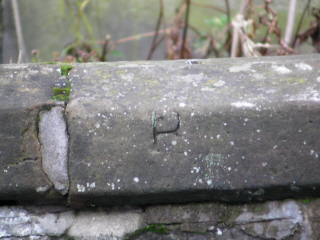 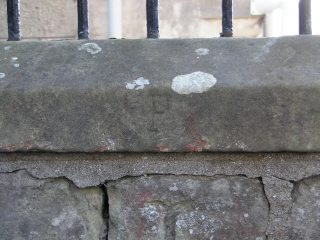 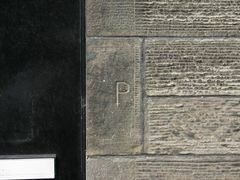 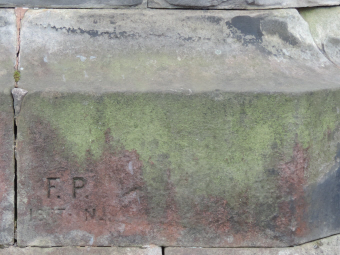 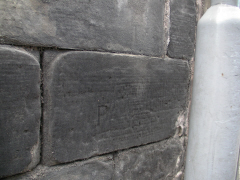 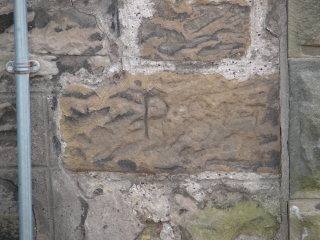 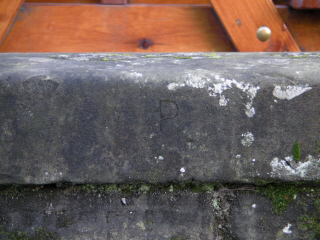 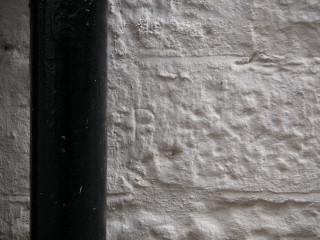 The incised letter P found on various walls and buildings about the town are Burgh Commissioner's Fire Plugs from the 1830s, established under the Scottish Burgh Reform Act and the Burgh Police (Scotland) Act. 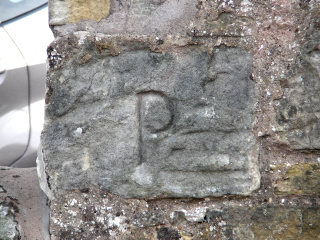 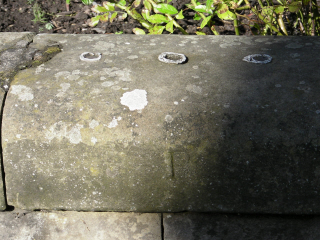 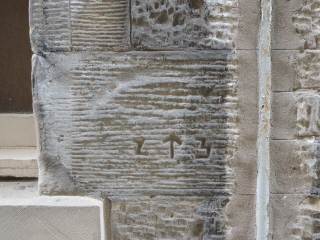 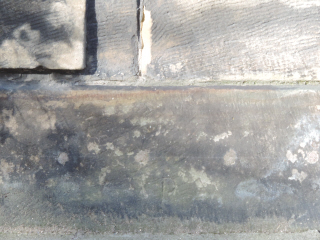 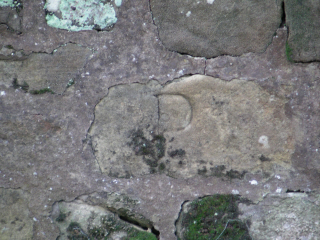 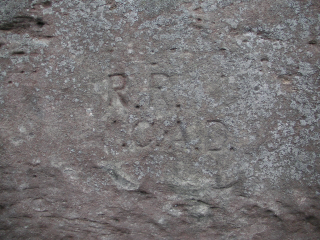 It is thought that this mark represented buildings that had a piped water supply. 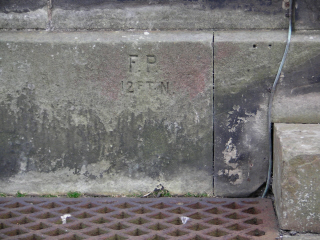 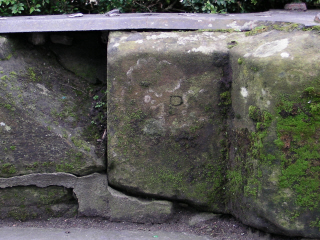 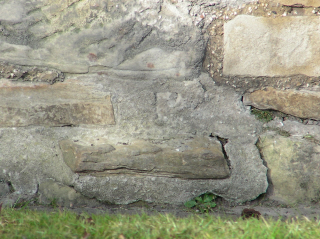 This would then be a source of water in case of fire, hence a 'fire plug'. 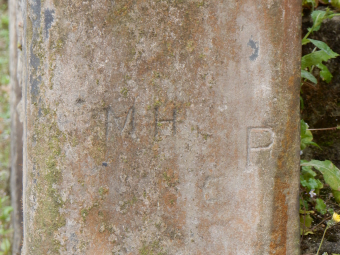 Most households at this time took their water from the wells located around the town. 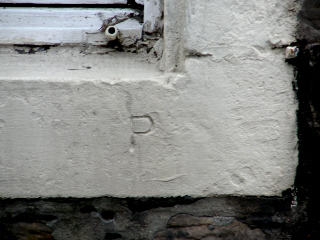 An annual charge of 1/6 (one shilling and six pence) was made on properties with piped water. 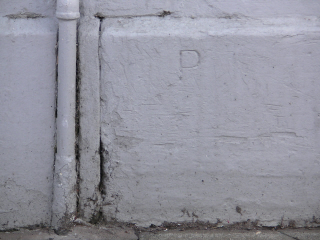 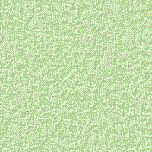 Properties with water closets paid 2/6 (two and sixpence, or half a crown). 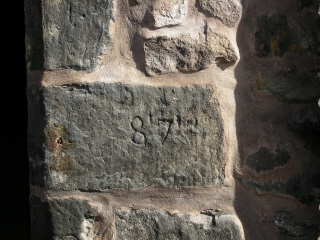 Prior to 1839 the respective charges were 5/- (five shillings) and 7/6 (seven and sixpence). 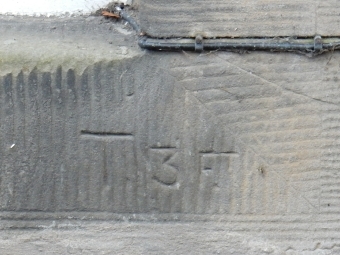 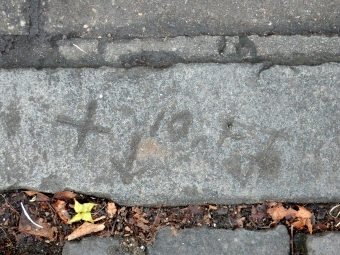 Other related marks include distances (in feet and inches) to the nearby water source.